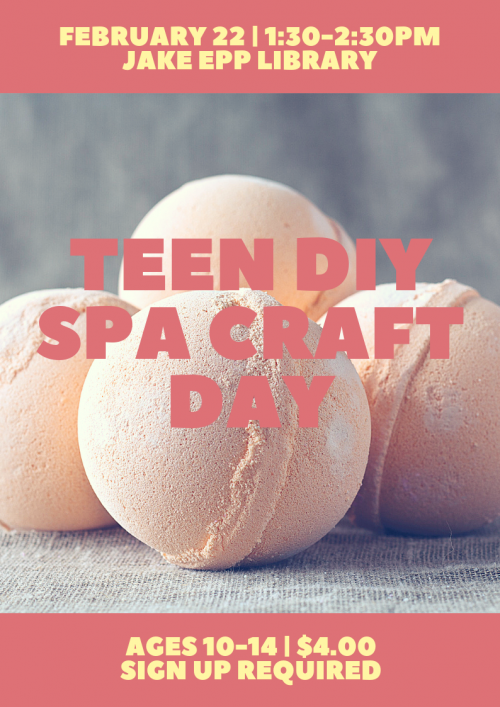 It’s a day off of school, so why not treat yourself to a DIY Spa Day. We will be learning how to mad chocolate mud masks, lush lip scrub and bath bombs. For ages 10-14. The cost is $4.00 per person. Advanced registration is required. Space is limited.